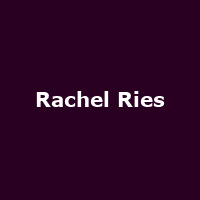 Rachel Ries is an American singer/ songwriter from South Dakota (by way of Zaire). "Her formative years were filled with Congolese spirituals, Mennonite hymns and her mom singing her to sleep with The Carpenters." Album releases include her 2005 debut "For You Only", followed by "Without A Bird" (2007) and "Ghost of a Gardener" (2014).